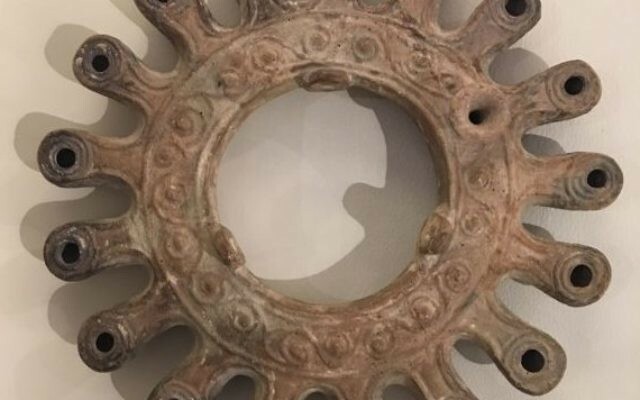 A Jewish artist from London has recalled how he stumbled upon the significance of an ancient Jewish candle-holder being exhibited at an exclusive arts fair in Maastricht. 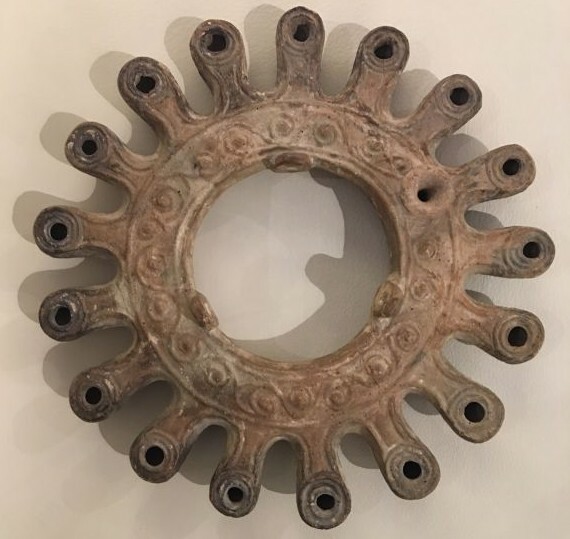 David Breuer-Weill came across the “visually-striking, star-shaped lamp” last week and has since learned that it is one of only three such examples to have survived from the reign of King Herod. The seventeen-spouted terracotta lamp dates from King Herod the Great’s reign in Judea (37-4 BC), and research has now shown that it was from one of the brutal ruler’s Royal Palaces. Another example, which is almost identical in design, was unearthed several years ago in the excavations of King Herod’s Winter Palace in Jericho. The third is housed in the Israel Museum in Jerusalem. Herod is famed for building legendary buildings like the Temple in Jerusalem and Masada as well as for ending his life after having wiped out political opponents including his wife and son, both of whom he regarded as potential adversaries from the Hasmonean Royal Dynasty.